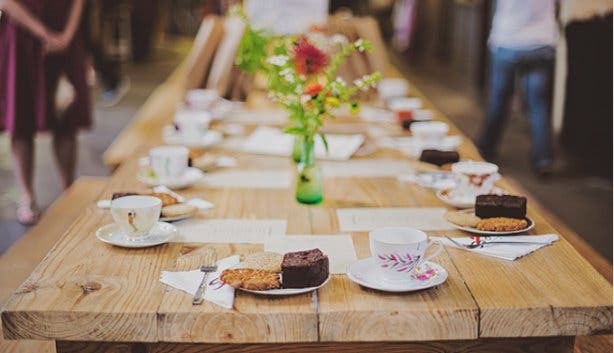 The Bay Harbour Market in Hout Bay features a cosy atmosphere, with a fireplace and live music, which is ideal for friends and families to gather. 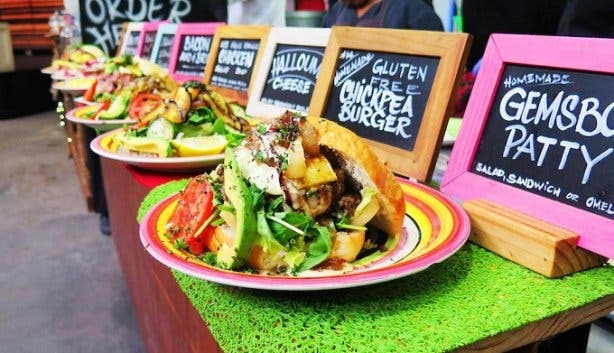 When paired with the sizzling hot food, the Bay Harbour Market promises a market experience you’ll come back to again and again. 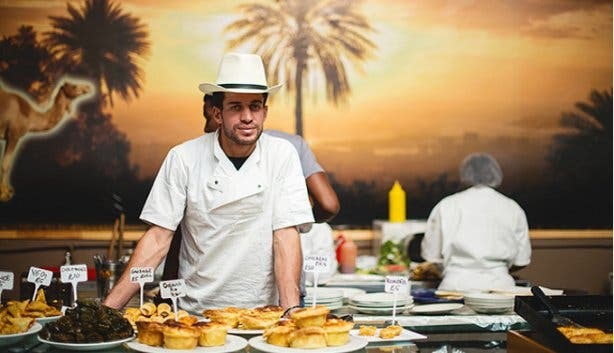 Patrons can expect a wide variety of food offerings, live entertainment, craft beer on tap, cultural curios, organic products, proudly South African clothing items, unique artwork, and an abundance of sweet treats at the Bay Harbour Market – all set in a shabby-chic, reinvented old factory. A great place to shop for South African memorabilia and locally made gifts, the market seamlessly combines pop-up and semi-permanent stalls, and has distinguished itself as a celebration of South African creativity, culture and kos.The Bay Harbour Market co-founder Anthony Stroebel insists, “there’s an energy in the building – whether you believe in that sort of thing or not”. Anthony and his mate Paul Rutzen discovered the now-vibey warehouse as a derelict, abandoned fish factory in the Hangberg precinct of Hout Bay and immediately realised they wanted to do something to reinvigorate the community and pay homage to the spirit of Cape Town. Expect to be welcomed by the salty smells of the Atlantic Ocean, coupled with the colourful street art along the walkway, which will lead you to the entrance of the market. 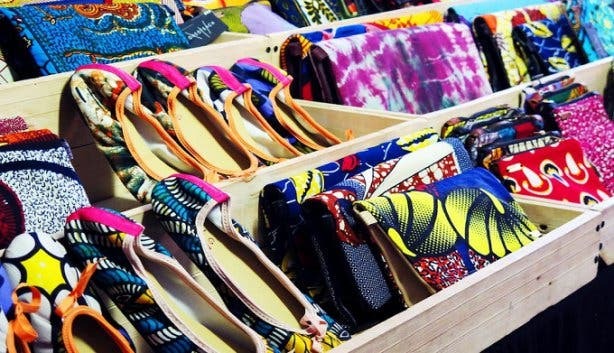 Here you will find proudly South African artwork, varying from beadwork to sculptures, paintings and handmade jewellery. There’s also the edgy Cape Town-inspired t-shirts of Maybru Clothing. 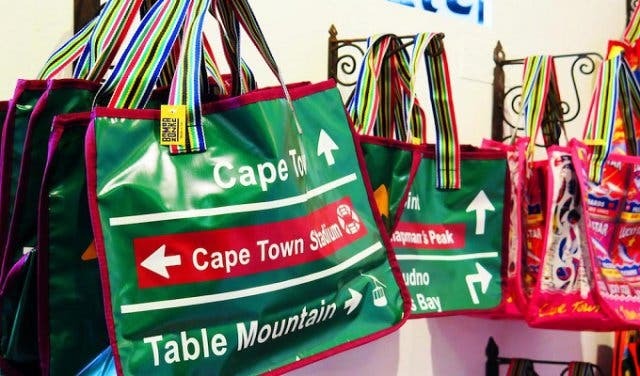 With quirky slogans like the witty “#RainMustFall”, typical Cape Town lingo “aweh”, “ma se kind” and the all-time favourite Table Mountain silhouette, there’s something for everyone. Make sure to browse the selection at the Maybru stand. Note: Maybru not only gives your style that extra edge, but also donates a percentage of their proceeds to Shark Spotters, an organisation that helps to make the Hout Bay beaches safer for all. 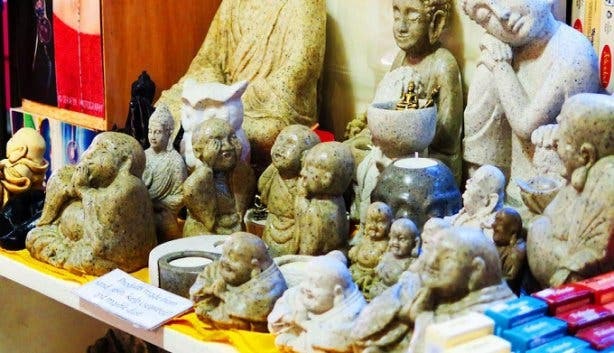 The buzzing indoor market is home to more than 100 stalls, giving both foreigners and locals access to one-of-a-kind offerings, and a special sense of community. 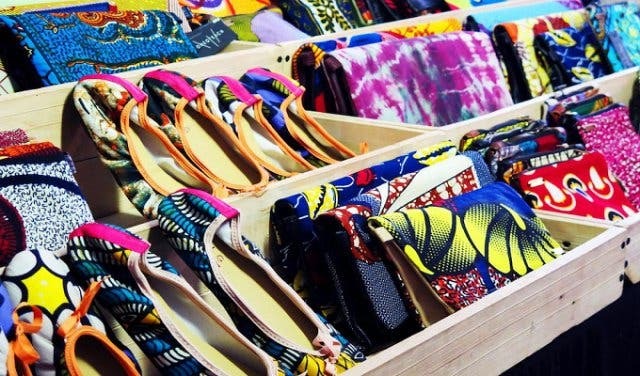 The Bay Harbour Market is part of the Hangberg Social Upliftment Project, which means that you get to have a good time knowing that you are contributing to a greater cause. 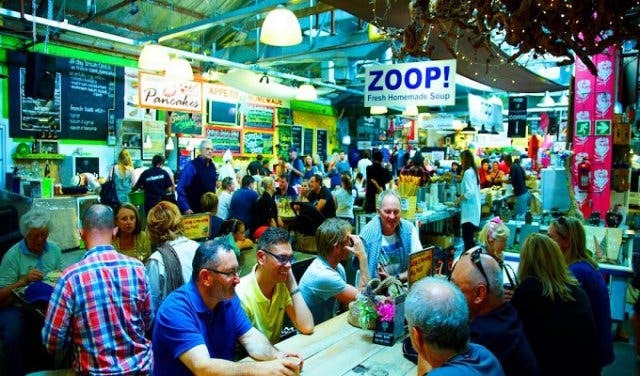 The Bay Harbour Market caters to the whole family, with dining tables set up inside, allowing visitors to mingle with their counterparts, or with strangers, encouraging market-goers to share stories and anecdotes while filling their bellies. There is also an outdoor section for those who’d rather opt for some fresh air. 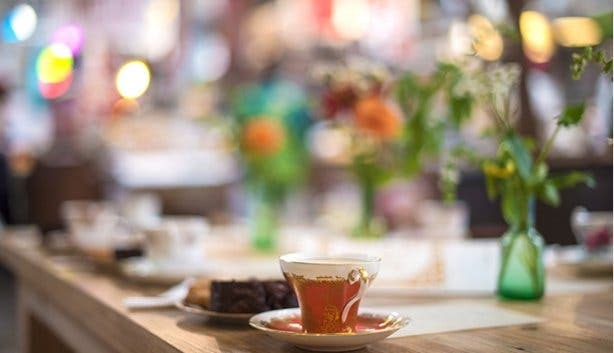 This space is ideal for families, as kids can find themselves under the supervision of mum and dad in a secluded non-smoking area, creating a safe environment for families to enjoy kicking back without the worry of kids wandering off. Vinyl EPs are sold, very appropriately, by a man with a rockstar name – Brian Adams! These are ideal for gifts, or to add to that EP collection that you’ve been waiting to expand. 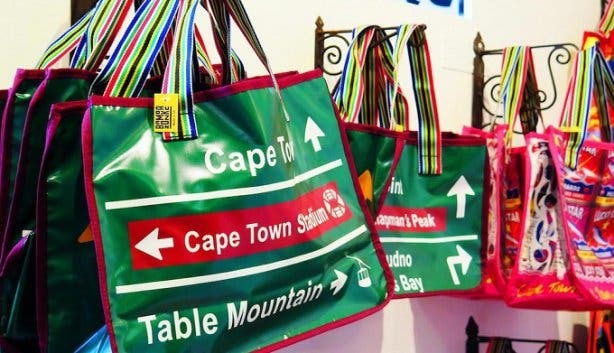 Beautiful, hand-woven rugs, tapestries, exclusive wooden iPad covers and sunglasses, and computer bags will give your electronic gadgets and accessories that unique Capetonian flair. Previously loved vintage items are on offer at Antiques and Vintage. Owned by Joanita and Sheila, the pair upcycle and reinvent classic pieces (without breaking the bank!). Feeling a bit of a chill? Head to Sozo Handspun Cottons, who make hand-knitted pieces from raw cotton sourced from around Southern Africa. The items here have been hand dyed to various shades ranging from vivid pinks to natural earth tones. Hair extensions, accessories, and the hipster signature – the multi-coloured hair wrap – by Gypsy Soul is something to check out if you’re feeling adventurous. Or try Birds of a Feather, run by Capetonians Kyla Dawn and Pamm Legg, who offer vividly coloured hair feathers with which you can still shampoo, blowdry, curl or straighten your hair as you usually would. These feathers also allow for reuse, so you are able to rock it natural on any given day! A collection of specialty iPhone lenses to up your Insta-game, by enhancing your pictures in cool and quirky ways! Spirit Jewellery offers an array of delicate feminine jewels. Cape Town designer Nikki Shepherd uses the natural tones of unusual semi-precious stones to highlight femininity, paired with hand cast sterling silver. 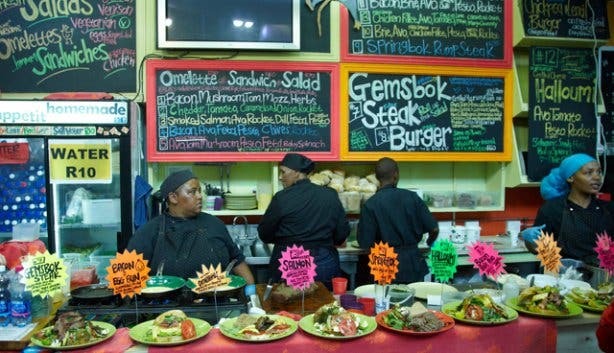 Traditional African food from Nolu and Sifiso at Seven Colours Eatery. 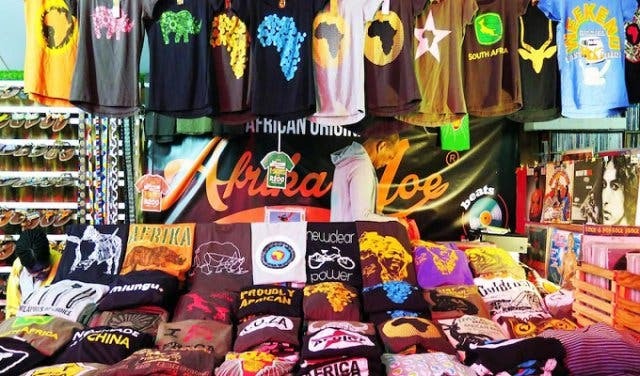 Expect offerings to include pap, homemade chakalaka, steamed bread (ujuge), tripe (ulusu), samp and beans (umngqusho), giving your market experience a truly South African flavour! 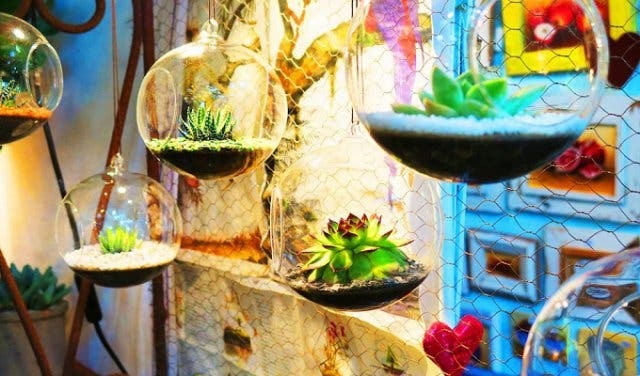 This may be the most unorthodox market you’ve ever experienced – think repurposed bar stools made from ice buckets, bird's nest lamp shades, furry ceilings in the toilets and ladies high heels reimagined as door handles, to name but a few of the quirky things you can expect to find here. Find the Bay Harbour Market at 31 Harbour Road, Hout Bay. Parking can be found on the pavement, outside Sinnfull Ice-Cream on Harbour Road, or behind Snoekies fisheries. Tip: Bring the little ones along too. There’s a kid’s play area as well as kid-friendly food, drinks and even toys. Also, if you’re car-less, keep in mind that the MyCiTi’s bus 108 stops just outside the market. Weekly discoveries: Bay Harbour Market offers live entertainment every weekend, so make a day of it and take a drive to Hout Bay’s vibey hotspot every Saturday and Sunday. The Bill: Very affordable! Market entry is free and you can easily spend as little as R50 on a filling meal. Enjoy a lazy Sunday lunch by the sea at the First Sunday Rhythms. Want to make a night of it? 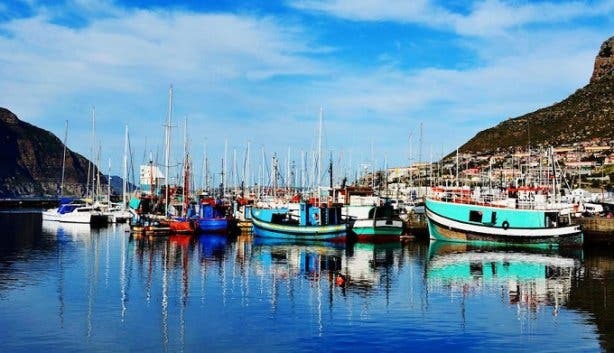 Read about our recommended affordable accommodation spot in the seaside town, the Hout Bay Backpackers. There are a range of markets available in Cape Town and we have picked out our top 10. Enjoy Sunday's filled with good food, great company and arts and crafts all with some of Cape Town's best Sunday markets.